Activision brings its most famous Call of Duty back as a stand-alone release. But is the remaster worth buying the classic game all over again? Activision ruffled a few feathers when it restricted access to Call of Duty: Modern Warfare Remastered to those who purchased Call of Duty: Infinite Warfare. Call it a little insurance to make sure people actually bought the then-latest entry, and maybe some of the reactions went a little overboard, but it was still a rather shrewd strategy. Flash forward about nine months later—even more by the time you read this—and we finally have a standalone release of the remastered shooter, but was it worth the wait? 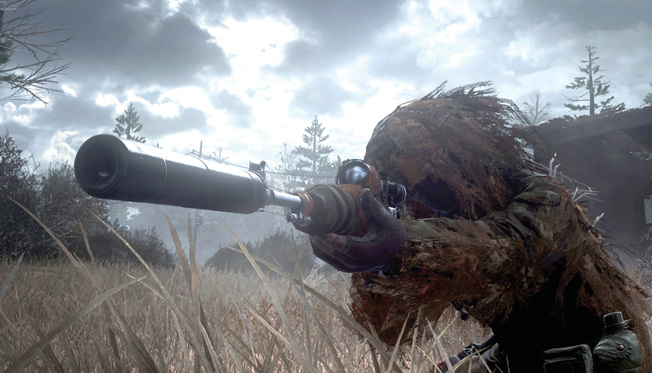 The short answer is easy: Call of Duty: Modern Warfare Remastered is a prettier, smoother version of one of the best first-person shooters in modern gaming. When CoD4 first dropped back in 2007, it didn’t just help pave the way for every Call of Duty game that followed, it had a major influence on big-budget shooters as a whole, particularly on consoles. From the rhythm of gunplay to the major story beats and setpieces, you can see a lot of CoD4 reflected in the current generation of games. Some will bemoan this fact, occasionally for a good reason, but it’s mostly a positive thing. 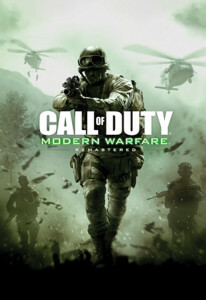 Modern Warfare is a smartly paced, exciting shooter that manages to create drama and escalate the stakes despite adhering to a rather straightforward difficulty curve. That hasn’t changed with the remaster, which retains all the solid writing, memorable scripted scenarios, and quick-to-hook multiplayer. If you don’t mind shelling out 40 bucks for a decade-old game, there’s still plenty of fun to be had here. When you get to some of the other decisions Activision made, however, the waters get a little murkier. Thus, it’s time for the less favorable long answer. Generally speaking, when the “definitive edition” of a game comes out you can look forward to enjoying all the previously released content in one package. Just think of any “Game of the Year” version of a game and you get the idea. Activision and developer Raven Software weren’t content with this, and instead chose to add in DLC in the form of paid microtransactions. While they initially promised the related supply drop crates would be cosmetic only, it wasn’t long before they added a slew of weapons and weapon sets into the mix. Regardless of whether or not the guns and melee options in question affect the overall balance, adding DLC into a game that never had it in the first place just isn’t a very consumer-friendly move. Adding fuel to this unfortunate fire is the release of the Variety Map Pack, which is available to download on PS4 at the time of this writing. Not only is the map pack not included with the full game, it’s actually more expensive than it was when it first came out. What was initially priced at $9.99 nearly 10 years ago is now $14.99, so if you want everything in this remaster you’re going to end up paying roughly the price of a full, brand new 2017 game. Look, I love Modern Warfare, so it’s tough for me to take away any of the accolades it deserves as a standalone game. Love for the core content aside, though, I simply can’t recommend rewarding this type of release. I’d sooner have you dust off your previous-gen consoles or boot up an older file on your PC to experience Call of Duty: Modern Warfare because it’s just as fun there as it is here. If fewer people support these tactics, we might see less of it in the future. Tags call of duty modern warfare, first-person shooter, Game Reviews, PC, PS4, xbox one.